I don’t know about you guys, but I find it hard sometimes finding the perfect gift for my husband. With our anniversary being so close to Valentine’s Day, we actually celebrate both holidays in one. The problem is that after 15 years of being together it’s sometimes hard finding the perfect gift for him – one that really makes him smile. Along with whatever little thing I wrap up for him, I usually try to make something unique or fun. One of the best gifts I have actually ever given him were handmade coupons. He still has these coupons saved in a box since he considered them one of his favorite gifts. Knowing that many of you struggle like me to find the perfect gift for your sweetheart, I couldn’t wait to share with you this adorable free Valentine’s Day coupon book. This book is 100% free and you are welcome to share or print it out as much as you like. 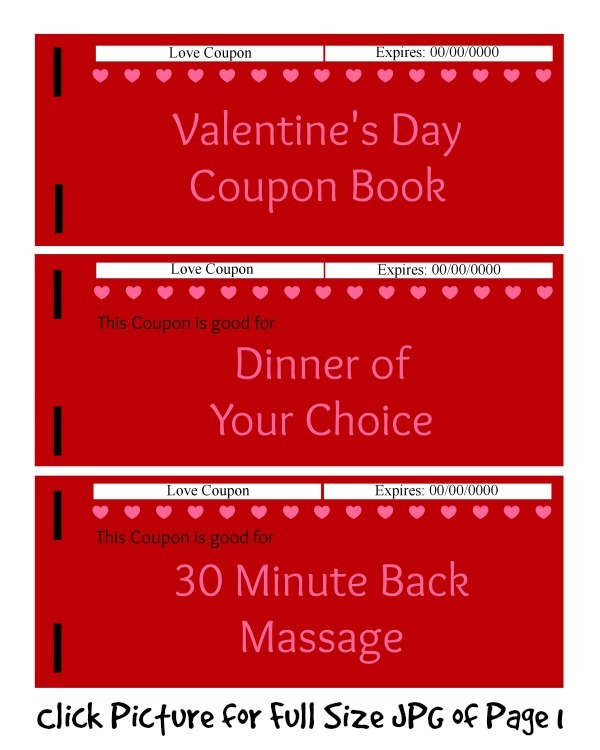 These cute little coupons are a great way to add some extra smiles to your loved one’s day and you know they are thinking of you every time they turn in one of these coupons. 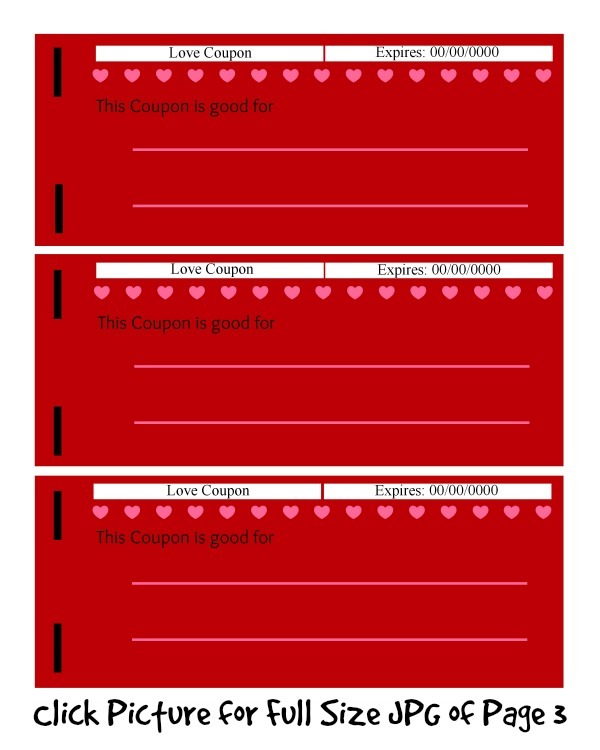 Make sure to tell us what you think of this Valentine’s Day coupon book below. We love having cute printable holiday printables for you guys and will continue offering these free printable throughout the year! Aww such a cute idea! I love DIY gifts! These are cute and I remember making them for my mom. I love this idea. We are trying to manage our finances so spending for gifts on V-day doesn’t really make a lot of sense. This would be perfect. Thanks! Yay! I love these!! What a cute gift and who wouldn’t love getting something like this?! I love it! I’ll be making some for my husband. It’s iur 3 rd year wedding anniversary on Valentine’s Day. Thank you so much for sharing! I am going to do this for vday this year! This is a great idea. You can make coupons to perform all kinds of tasks, or to prepare favorite meals, the possibilities are endless. This is a cool idea for my honey. I’ll have to do something like it for her. We aren’t working now and I just got a recharge kit for our color laser printer, so hopefully I’ll be able to print in color again too.